Tarot cards are a deck of playing cards (numbering commonly 78) used to play French Tarot and Italian Tarocchini from the 15th century. The cards are still used for playing in various parts of Europe, however, it has found use by mystics and spiritualists alike as a map of mental pathways. Tarot card reading, in most people’s minds will probably give a picture of a lady in a candlelit room, dressed in robes and foretelling imminent doom. Well, that’s not just all to the art of tarot card reading let me tell you. Many claim that tarot card reading provides insight into their inner, higher selves, and bring them in contact with the “universal mind” or “universal unconscious”. Standard Tarot card decks have two types of cards: Major Arcana and Minor Arcana. 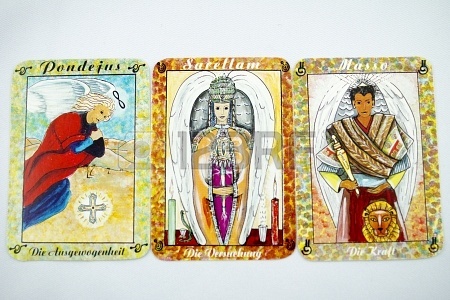 There are generally two types of tarot readings: question readings and open readings depending on how big or small the subject we’re dealing with is. Question readings are used when we are addressing a specific question. Make sure you keep your options open while you sit for a reading and understand that Tarot will not answer your questions in simple yes or no. There is no use in asking something you already have the answer to in your mind. For example, asking whether to adopt a pet rather than how to not feel lonely is narrowing down the scope of the true question. It is also important to focus on yourself rather than a second person while searching for guidance from the Tarot. Asking what role do you have to play rather than questioning about your son’s drug problem is better keeping the focus on the subject in hand. Open readings are used to address the higher and larger aspects pertaining to your life as opposed to a particular problem area. This type of reading is known to be used when you are entering into a new phase of life such as joining college, getting married, career change or starting a new business venture etc. You can somewhat control or direct the readings if you have in mind a general area that you wish to cover. Stressing on issues pertaining to your health, financial, legal and important factors like social life gets easier as directions get specific with the progress of the session. Despite so many people maintaining Tarot readings to be quite rewarding, Tarot cards are still mostly perceived as dark’ and evil’. This misconception had made my mind its home too, until I read about Tarot cards and how they work. 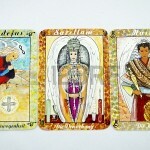 In my personal opinion, tarot readings and their interpretations can and vary with each individual. It is advised to stay neutral and maintain a positive frame of mind so as not to misread anything and jump into unwanted conclusions. Apart from being used for meditation, spiritualism and divination purposes, there have been cases of creative writers relying on Tarot cards to strengthen their thought process. It all ultimately boils down to your own self on how you want Tarot to benefit you so that proper decision can be taken to avoid the problems.